Minnesota is raising speed limits on thousands of miles of two-lane state highways outside the Twin Cities area, a change to about 77 percent of 7,000 miles of state roads. The changes are already in place along some stretches, and are effective as soon as road crews post the signs for the new top speed. Many of the new signs are already in place. The rest should be changed out this spring. 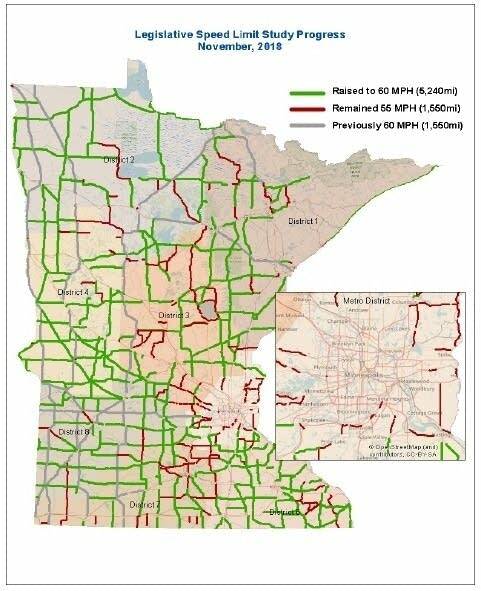 "Some of these roads used to be 60 miles an hour, during the daytime, during peak conditions, so this is sort of a return to 60 for some of these roads," said Nathan Druse, an engineering specialist with the Minnesota Department of Transportation who worked on a study of speeds on two-lane roads mandated by the Legislature in 2014. The 55-mph speed limit dates back decades, following the 1973 OPEC oil embargo that severely restricted gasoline supplies in the U.S. The speed limit was set by President Richard Nixon's Emergency Highway Conservation Act signed in 1974. 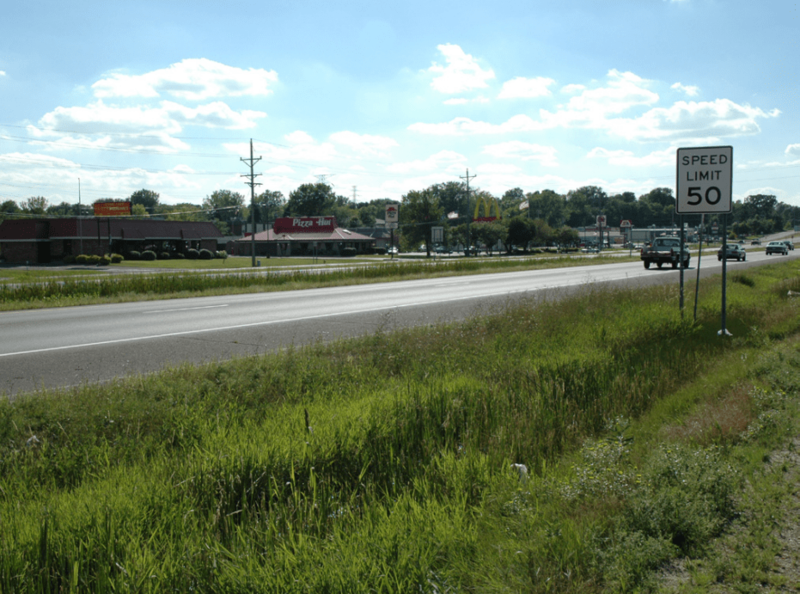 The state transportation department, in response to legislative directive five years ago, completed a $1.2-million study to determine mile by mile if raising the speed limit was appropriate. Some stretches of road were not appropriate for higher speeds, said agency spokesperson Kevin Gutknecht. "We were able to look at the geometrics, the way the road is designed," Gutknecht said. "Is it flat and straight, or is it curvy and tilty? How much clearance zone is there on either side of the roadway? In other words, Is it a nice wide ditch, or are there trees right up against the roadway? "We also take a look at how fast is the traffic actually moving on the roadway," he added. "We found that if you set the speed limit at or close to what the traffic on average moves, the roadway is safer." The study also found that in test stretches, traffic showed a negligible impact on what speed traffic was already traveling. The change will mean travel will pick up by about 9 percent for much of the state outside the Twin Cities metro area and the Arrowhead region north of Duluth. Not everyone is sure that's such a great idea. "One of the things to keep in mind is that transportation is one of the largest sources of greenhouse gas emissions in Minnesota," said Aaron Klemz with the Minnesota Center for Environmental Advocacy. Transportation, he said, "recently just passed overall utility electrical generation as the largest source of greenhouse gas emissions, and we know that when folks drive faster, they burn more gas ... So, there will be an increase in carbon dioxide emissions." Minnesota drivers can always consider just taking it a little slower, he said, whatever the signs say.